As alumni of the University of Oregon, the Holdens embody the leadership and service that the Holden Center seeks to inspire in current students. When they were students at UO, both of the Holdens were involved across campus and positively impacted our community through their leadership. Ambassador Holden worked with a friend to reclaim the charter for his fraternity, Beta Theta Pi, which resulted in better grades and workmanship for the men of the fraternity and Holden being named a Man of Principle by the fraternity. Even after leaving the university the Holdens have served numerous communities through their service with many charitable organizations and universities. 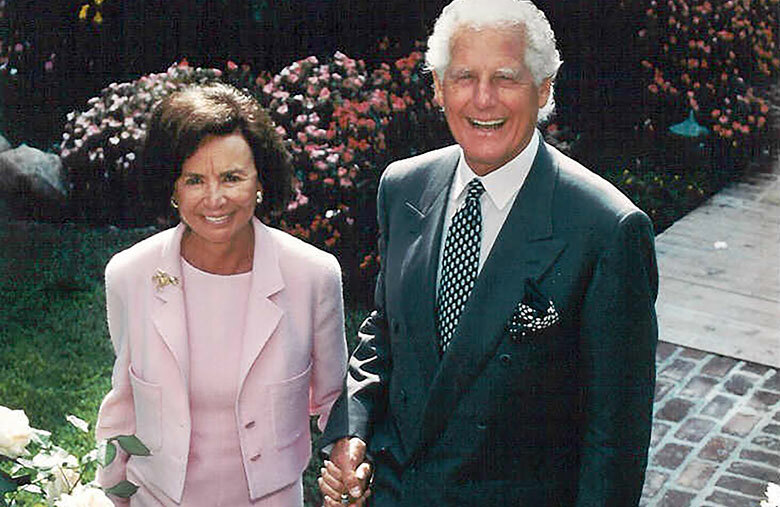 As the namesake for the Holden Center, the Holdens' leadership and passion for serving provides guidance and inspiration for current students. Ambassador Glen Holden graduated from the University of Oregon with a bachelor of science degree in 1951. His career began in insurance when he met a local insurance agent while working at a campus clothing store. The agent sparked Ambassador Holden’s interest in the insurance industry and he began taking classes in insurance and finance. He has had a very successful career in the insurance industry which includes forming Glen Holden and Associates and serving as president and director of the Variable Annuity Life Insurance Company. Holden also served as the United States Ambassador to Jamaica from April 1989 until March 1993 at the request of President George Bush (41). He became deeply dedicated to the nation and its people and ultimately served as the chair of the charitable organization American Friends of Jamaica (AFJ) for fourteen years. Ambassador Holden is currently serving as president of the Federation of International Polo, which is recognized by the International Olympic Committee as the federation governing the sport of polo worldwide. Ambassador Holden is widely regarded as an international ambassador for the sport of polo. Gloria Holden graduated from the University of Oregon with a bachelor of arts degree in 1950. Her career began as an elementary school teacher where she taught from 1950 to 1954. Throughout her life Gloria has maintained a deep dedication to education and youth-oriented initiatives. She has served on the Board of Trustees for American Human, Inc., the Board of Directors for the Center for Excellence in Education, and has participated in the Les Amies Children’s Charity and in WAIF, Inc. She is currently active in numerous civic, cultural, and educational initiatives. She is President of the Glen Holden Foundation and an Emerita board member of Scripps College. Gloria has also taken an active role in several political entities including the California Republican Party and the Republican Regents. She is also a proud member of the Kappa Kappa Gamma Sorority and has volunteered in several capacities with the organization. Gloria is married to Glen Holden and they have three grown children, Glen Jr., Georgianne, and Geannie, as well as eight grandchildren.